The Forth Valley Traditional Building Forum will be running another traditional building skills event for schools in Stirling, Callander and Falkirk. This event will be hosted by Tradstocks at Thornhill and will include a tour of the stone cutting yard and quarry. The event builds on the highly successful traditional building skills events held in Falkirk and Callander in the previous years and could not have been organised without the collaboration of all the partners from the forum. 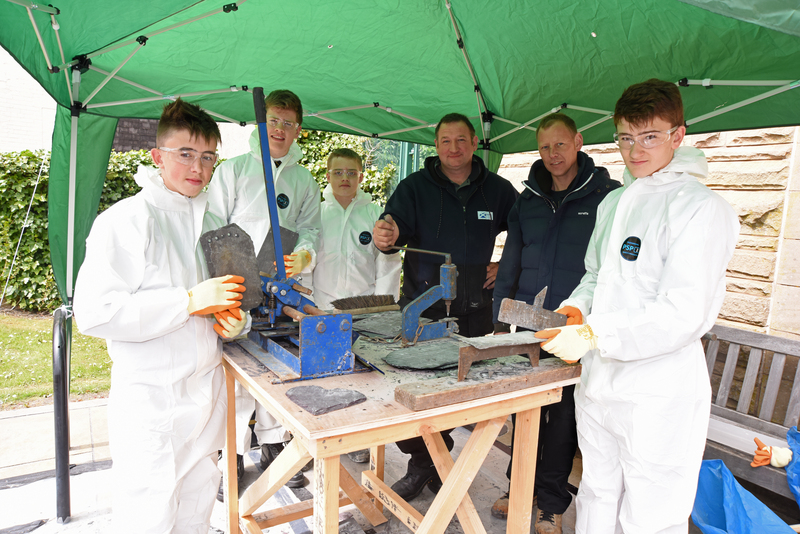 This event is aimed to raise the profile of traditional building skills and materials required to repair and maintain traditional buildings throughout the Forth Valley area and give the school children the opportunity to try these essential trades so they can make an educated decision about their future career options and hopefully choose construction as a career of choice.